Flagship Opportunity! 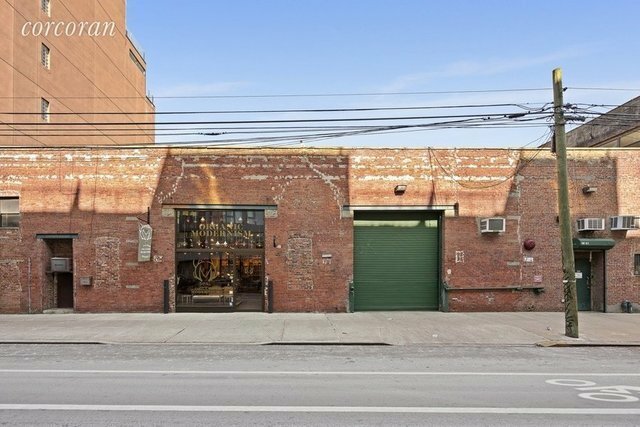 Incredibile opportunity to lease a entire building to brand or expand your business in Prime Northside Williamsburg! The building is perfect for all uses such as retail, restaurant, office, medical, tech, creative, art, photography, production, and any professional services.Approximately ~100' X 100', featuring ~10,000 SF of interior square footage, 17'+ ceiling height, tremedous frontage with a curb cut for easy loading, beamed ceilings, exposed brick and heat HVAC system, This location is perfectly perched on North 11th Street between Driggs Avenue and Roebling Street in P-R-I-M-E Time Williamsburg a stone's throw away from McCarren Park with endless views of Manhattan and Brooklyn.North 11th Street's central location is just several blocks from the Bedford L Nassau G Subway lines, Greenpoint, and the Williamsburg Waterfront. It just does not get any better....being surrounded by some of the densest, most expensive commercial and residential real estate in the country, housing limitless expendable income. There are countless new developments, residential, commercial and hotels rising on a daily basis on every side and in every direction such as The William Vale, Wythe Hotel, Hoxton, and The Pod.Located in the epicenter of Williamsburg Northside, it is no longer only for locals. This Food, Tourist and Shopping Mecca has seen a dramatic revolution that is on par with the top destinations in all of NYC. Major retailers national tenants who have all settled in this trendy neighborhood: (just to name a few) Apple, Equinox, WeWork, Citibank, Starbucks, Duane Reade, HSBC, J. Crew, Ralph Lauren, Madewell. Do not miss out on this tremendous opportunity!